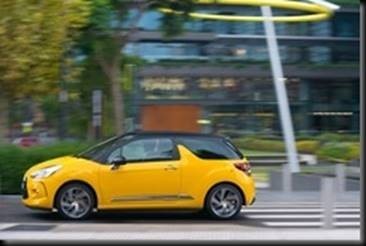 We drove Citroën’s DS3 convertible a while back and liked it. We didn’t “get it” but we liked it. 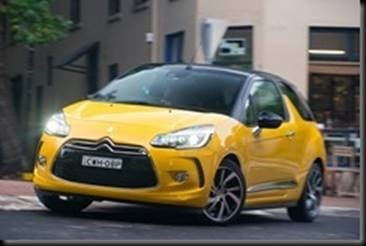 This story is about how the Citroën DS3 made me feel and not just about tech facts and dull-as-dishwater figures. I may decide to throw in a few figures but they are for presentation of a point, and besides “it’s my story and I’ll try if I want to” (sing it and it will make more sense). 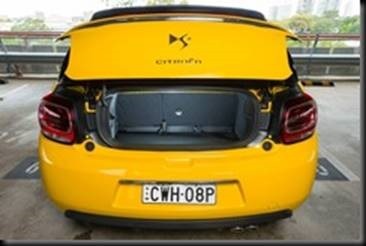 There are people who ask me if Citroën is still sold in Australia, can you believe it. “The French can be an uppity bunch, perhaps they no longer make cars for peasants”, people cry. Yes, Citroën still make cars and yes they still bring them here. It’s a shame the marque has lost so much of its brand awareness, but with a gentle push from head office the new models should help sort that out. This time a new mindset was needed. To facilitate the reset I kept the “Deux Chevaux” in mind (translates to “two steam horses” apparently). If you’re not familiar with the term perhaps you’ll know the name “2CV” better. It was a Citroën that could transport a haughty French farmer in a silly hat and his boozy baguette munching wife carrying a basket of fresh eggs. They could across a newly ploughed field without a single omelette ensuing. It is not completely clear why that objective was so important. Why would they want to do that. Come forward a decade or 5 and we arrive smack in the middle of the 2nd decade of the 21stcentury where the DS3 takes up the 2CV challenge. There is much to celebrate. 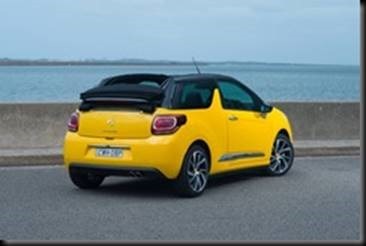 The DS3 cabriolet is a little bit retro and has a rag top just like the 2CV. The roof slides back leaving the sides of the car in place, also just like the 2CV. However unlike the 2CV, the DS3 is chockers full of tech and comfort those farmers could only have even imagined after de nombreaux vins rouges. “Funky” is my word du jour. 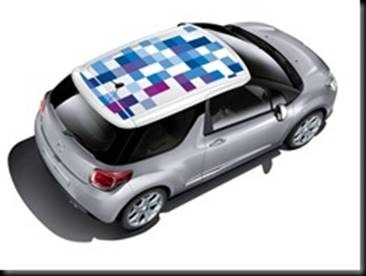 For a start, the roof is electric and has a 3 position setting and it comes in a bunch of colours including some with a really cool DS monogram. It isn’t obvious at first but anything that has a wavy motif when talking about DS is probably the letters D and S worked into an abstract pattern. You can decide whether you want a little air, a lot of air, or oodles of air. 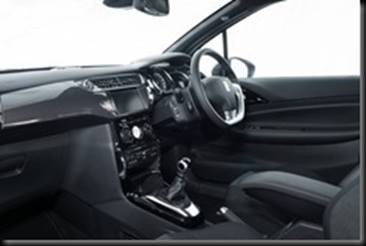 If it chucks it down you can close the roof and switch on the automatic climate control with the set and forget function. Even when lashed with the foulest weather, the roof simply will not leak and believe me I tested that part. The rain beating against the roof is remarkably calming. 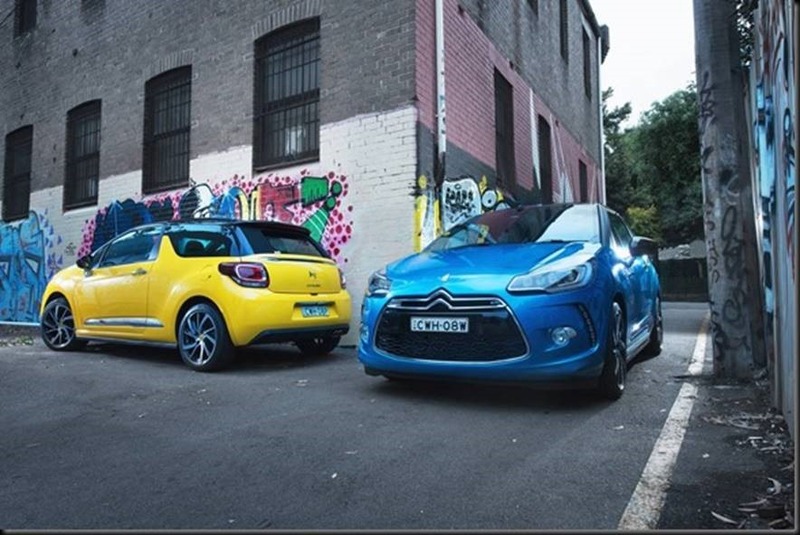 You have electric windows, and instead of puny 2CV engines ranging in power from 6.7kw to 21.6 kw, the DS3 has a sensible 121kw. It can transport all your egg baskets at once, but not over ploughed fields. The only way the DS3 will cross a ploughed field is if a French farmer tries driving it after lunch, if you get my meaning. The best thing about the 2CV was that it could go anywhere in style, and in that respect the DS3 well and truly modern and up to date. Of course this sounds like a cheesy post-modern American commercial but that doesn’t make it any less apropos. The tiny boot opening make grocery shopping a chore but who cares? Once I made this connection with Citroën’s past I totally got it. Every time I jumped in and pumped the roof back, I came over all Gallic. I felt a distinct air of awesomeness coming on. Instead of fighting the unique Frenchness, I embraced it so even the postage slit masquerading as a boot opening didn’t worry me. 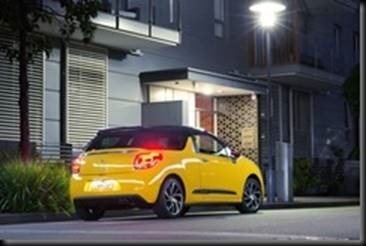 The DS3 is not a race car, or an SUV, or a mum’s taxi, or a limo, it is a lifestyle choice. For 40 grand you can get something faster or sportier or bigger, but none of those is going to be as individual or quirky. The headlights look fabulous and the retro exterior is stylish and classy. There is a sculptured whisk of LEDs as daytime running lights and Xenon projector lamp thingies with swishing blinkers. The rear tail lights have the unique 3D effect I’ve really come to love. Citroën don’t make a big deal about their many patents and world firsts but maybe they should. Sales worldwide have been up this year and Australia is no exception. It’s as if the young management team have injected a dose of enthusiasm and vigour which had drained away these past few years. Things seem to be going swimmingly now that siblings Citroën and Peugeot are under the same banner here. Because there is only a shift-em-yourself gear option, the ease of driving is important. I’ve driven cars, quite recently in fact, whose clutches were only slightly less difficult to use than building a cathedral was in the 14th century. Added to the heavy clutch was a gearbox that built up your upper body strength to that of which Atlas would be proud of. It was a thoroughly miserable experience. The Citroën however, is light and breezy. In fact it is so easy to use that people used to driving automatics found it a delight. You may think a “no auto option” might be a big hurdle to leap but not so. In fact everyone should be able use a clutch even though most cars sold are self-shifters. It is a scientifically proven fact that manuals are driven be real men (cue howls from all quarters). The old auto was a 4 speed affair and sold the excellent chassis short. Having said that, for those for whom automatic is the only option take heart. I heard a whisper that there is a 6 speed auto mated to the 3 cylinder turbo now available in Europe. We liked this engine very much in the 308 and according to the whisperer we can expect it to filter through to us in the antipodes in due course. Lots of folk have weekend cars but fellow flamers have fewer family, so no kids to toss in the back. So why get a huge gas guzzling V8, unless you fancy a throbber of course. Speed is nice but this car isn’t about the how fast you get there, it is about how much you enjoy the journey. Perhaps it is because I am getting older that I now prefer comfort to cornering. I know I’m always going on about how a car corners because it is part of a reviewing process. But if I was to spend my own money on my own car I’d want an all-rounder. I’d want a stylish accessory. I’d want my car to say something about who I am and what I like. That’s vein I know but surely that’s why we don’t all drive 30 year old bangers right? The engine is nippy if not actually fast and the steering feels direct with just enough assistance to let you know you’re boss. Nothing is overdone but rather “just done enough”. The only fault I could really pick apart from the small boot opening is the infotainment system. It is a bit last week. PSA has some really good systems such as the one in the fabulous looking Cactus which arrives next year. The touch-screen interface is brilliant and is almost an industry standard these days. 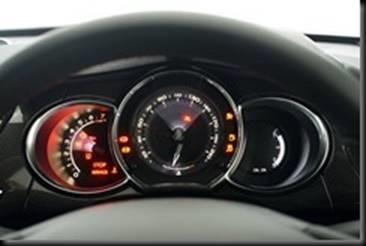 A central floor mounted control centre like BMW, Mercedes and Mazda would be an advantage too. 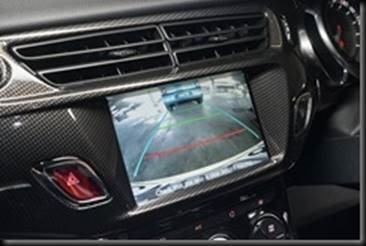 As it is the DS3 is a trifle fiddly and the Satnav input is difficult. Similarly the auxiliary controls are mounted old-PSA-style on stalks behind the steering wheel. Again, not a favourite and are hard to navigate unless you use them all the time. 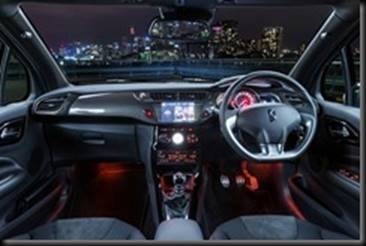 There is some talk of the PSA touch screen being available in the DS3 as an update so that would be well worth waiting for. In fact it would make the Citroën very hard to beat. None of those things dampened my enjoyment and I found a longer drive thoroughly engaging. 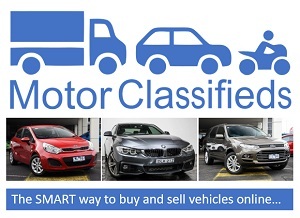 I fancy a buyer doing a 15 minute dealership evaluation might not fully appreciate the full experience and that’s a shame. 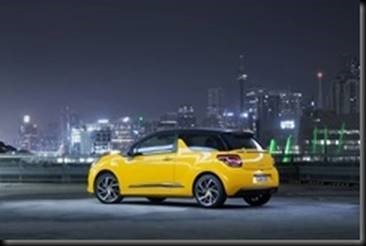 If there is anyone contemplating new wheels and like to be different, give the convertible DS3 a look. Finally, there is a 6 year warranty, capped service price and roadside assistance which is second only to Kia at 7 years. Take that BMW and Audi! 208 GTi and GTi 30th. 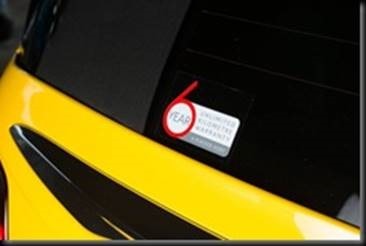 Peugeot’s secret weapon? I was of course referring to the text used in your broadcast email. We changed the font colour for use on a magazine site. We hadn’t realised it changed the email also. Back to the drawing board. 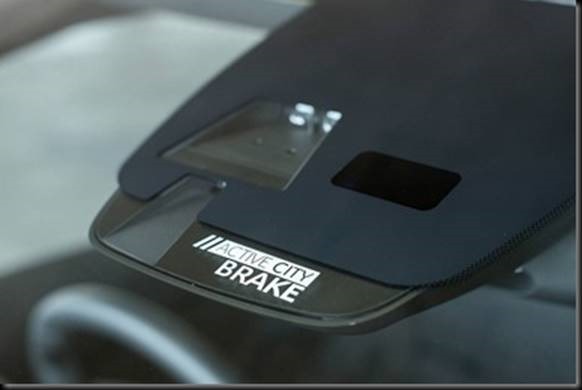 I love your reports but the most recent one on the Cit DS3 had the body text in grey, which in itself is OK however you really should use a much darker shade of grey, this one was too difficult to read.